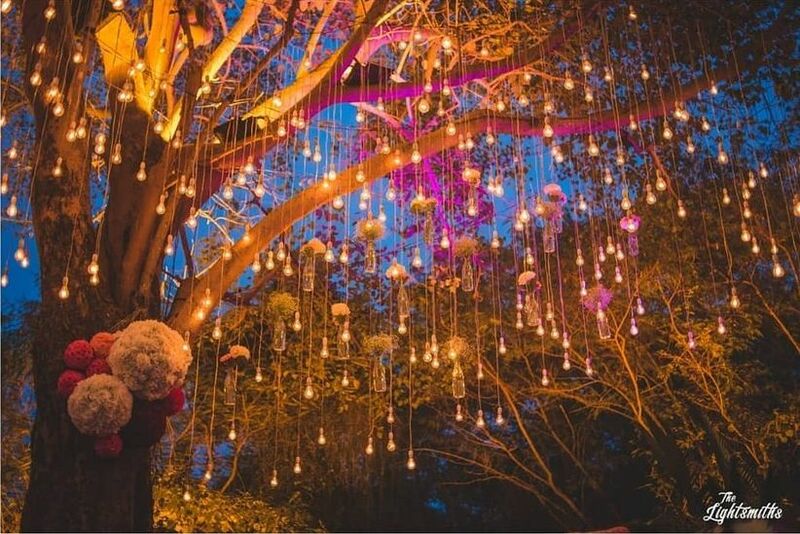 12 Stylish Sangeet Decoration Ideas to Light up Your Ceremony | Wedding Tips ARE YOU A VENDOR? 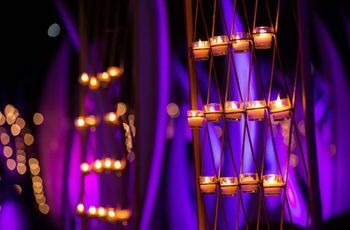 Sangeet decoration can often keep brides up at night – simply because there are so many options to choose from! 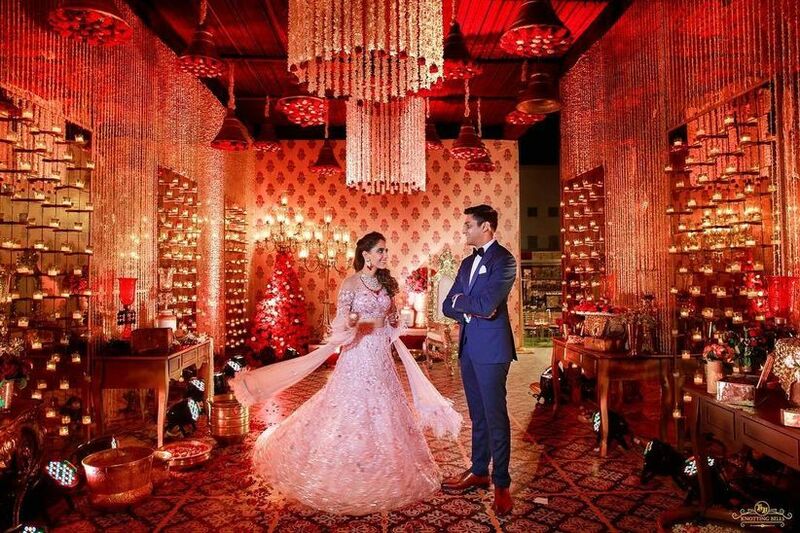 Here’s how you can make your sangeet look great! 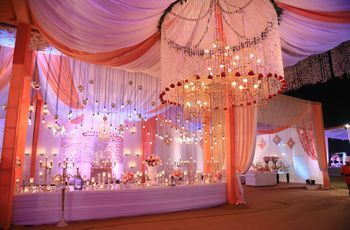 Sangeet Decoration Ideas for a Lavish Wedding! Swarovski crystals are supremely pretty and they capture and reflect light so beautifully that it makes them ideal for a glitzy night event. You can have Swarovski centrepieces on tables, or elegant goblets if you’re looking to create a very high-end aesthetic. A disco ball studded with these crystals can also look great hanging over the dance floor! Performances are a huge part of Sangeet functions so why not give them the stage they deserve? Take your cue from Priyanka Chopra’s lavish stage and create one that’ll make any Bollywood awards ceremony jealous! Honestly, there’s nothing more exciting than a well-organised destination wedding. If you want to go the extra mile, rent out a cruise ship just for your guests and have an amazing event in the middle of an ocean. Now that the Ambanis have flown Beyonce down for their wedding, there’s no reason why you shouldn’t consider flying down your favourite artist too! While many people ask B-Town celebs to perform at weddings, you can step up your game by tracking down your favourite band or singer abroad. 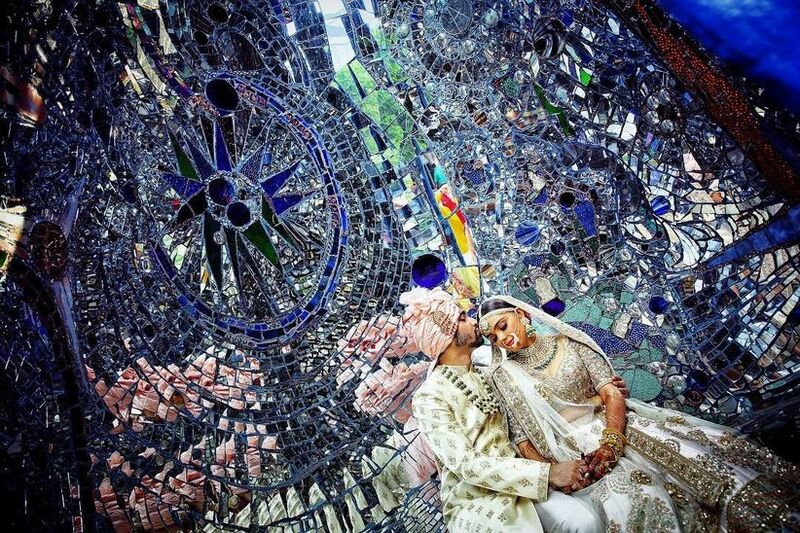 Easy Sangeet Decoration Ideas for Your Wedding! Often, lighting is used as a communication tool in performances. You can enhance your dances by coordinating with an AV person (read: your cousin who’s studying Engineering) during your rehearsals to use different coloured lights to convey different emotions. Using Embellished candles is a really easy way to up your décor game, without having to spend an arm and a leg. If you use the right faux crystals, your candles can have an extremely upscale look. If you do not want to have a separate stage for performances, using a simple dance floor that has lights in it can do the trick too. The idea is to demarcate space for dancing. Flower arrangements are classics when it comes to any wedding décor. 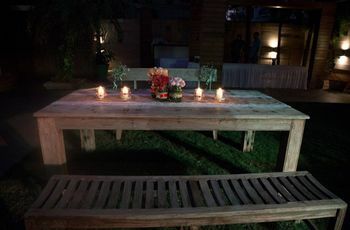 Use them as centrepieces on all tables to create a cohesive aesthetic throughout the venue. 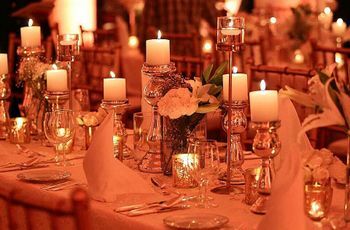 No-Cost Decoration Ideas for a Home Sangeet! Use twine (or any other rustic string) and tie together Polaroids of you and your Bae to create a streamer of pictures. You don’t have to use an actual Polaroid camera – just print the images on small glossy paper! Let’s be honest – we’ve seen fairy lights almost everywhere but somehow, they never seem to lose their charm. If you have a lawn in your home, string fairy lights in trees or tall plants for an ethereal look. Marigold strings are a classic and though they aren’t exactly ‘no-cost’, you must have them in your home during your wedding. String the gate and doors of your home with these lovely flowers for a look that’s traditional and beautiful. Rangolis have been used as a décor element in Indian household for years, and rightly so! One can easily create beautiful patterns in the driveway with coloured powders. If you don’t think of yourself as someone who can draw, find printable Rangoli stencils on the internet and use those! 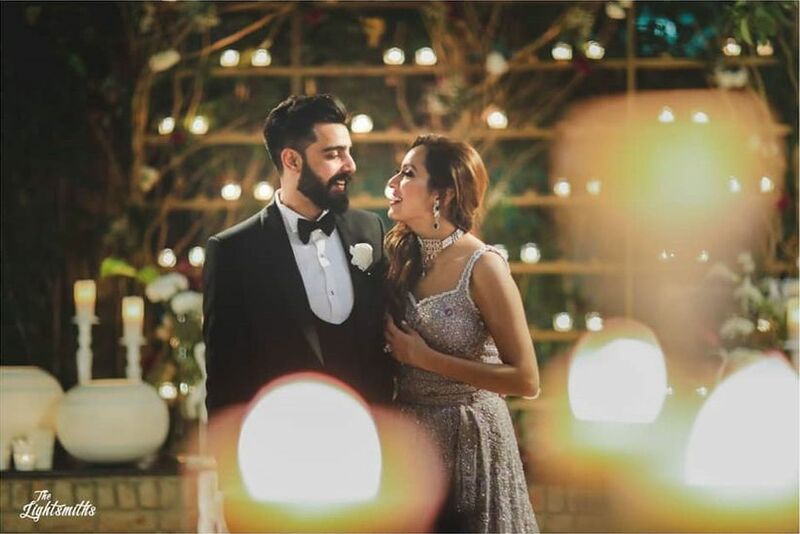 No matter what your budget is, you can make your Sangeet look great. Ultimately, what matters the most is how you feel on this momentous day. So, do not stress about the aesthetics and focus on your happiness more than anything else! Get in touch with professional wedding planners for more fantastic décor ideas!